Ready for some unsettling news? Turns out Full Container Load shipping (FCL) isn’t really full. Far, far from it. 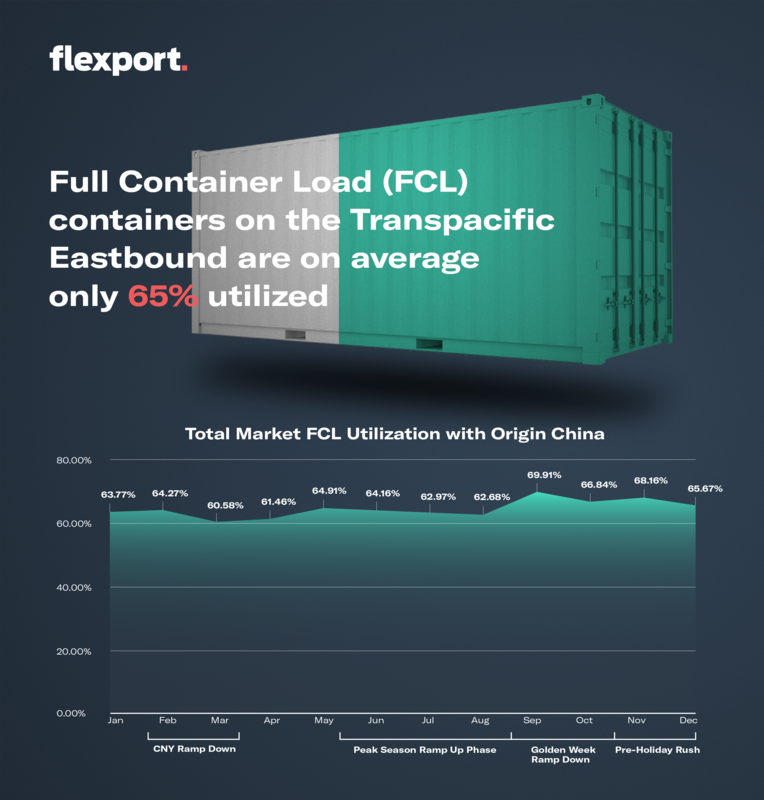 At Flexport, we took a look at 2018’s data and found that on average, only 64.6% of FCL containers were fully utilized*. 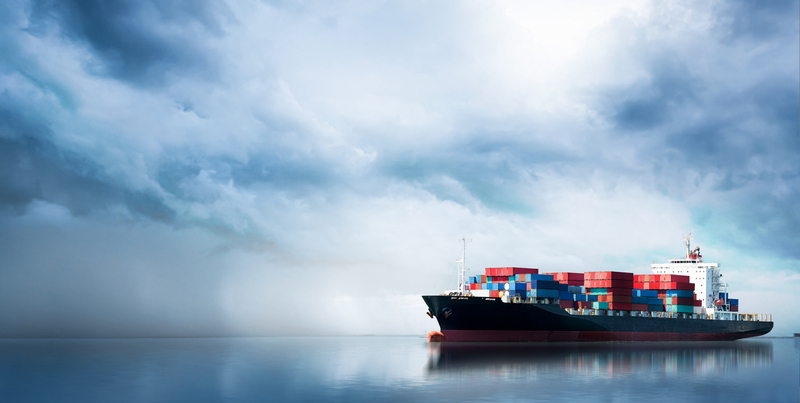 Put another way, nearly half the container space of all FCL shipments last year destined to the United States was unused, creating incredible inefficiency in global supply chains. The impact of wastage can obviously be considerable for a business. But there are far greater consequences that create a knock-on effect that damages our overall global economy and the environment. Underutilizing containers means that there are more containers being moved over the ocean, rail, and road than necessary – significantly contributing to a spike in shipping costs, port congestion, truck and chassis shortages, and pollution. Flexport’s solution? We’ve developed OceanMatch, an ocean freight offering that matches unused space in your container with other Flexport cargo, optimizing freight pricing for your cargo’s size without compromising on speed. High container volume into ports causes port congestion, which results in demurrage, high trucking wait times and fees, chassis shortages, and delayed transit times. What’s more, that increased volume will become even more difficult to handle with the truck driver shortages caused by the uptick in freight volumes, as well as high turnover and retirement across the industry. Much like how street traffic is caused both by a surplus of cars on the road and poor infrastructure planning, congested ports are caused by poor infrastructure planning and a lack of cargo consolidation networks. OceanMatch is a cargo consolidation solution exclusively offered by Flexport that maximizes cargo efficiency to address this problem. By intelligently matching shipments’ specific weight and volume, lane, and cargo ready date using our global network of structured supply chain data, we can consolidate cargo and fully utilize one container – eliminating the need for multiple semi-empty FCL containers. The resulting reduction in port volume aids in reducing port congestion and its after effects. We also understand that transit time is a critical part of maintaining a smooth supply chain, and is often taken into account when deciding whether to ship via an underutilized FCL container or traditional LCL. 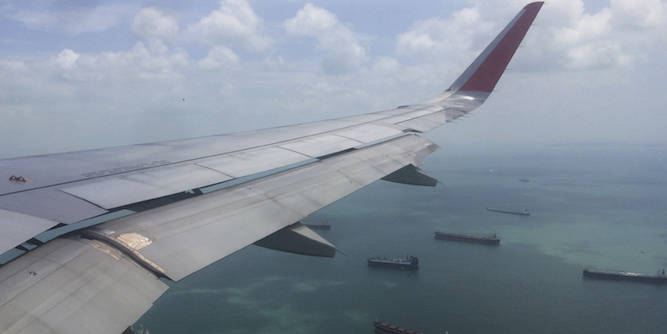 But OceanMatch only takes an average of 1-2 days longer to destination than FCL, while traditional LCL takes 5-7 more. OceanMatch shipments also save up to 35% on cost compared to FCL. Tightening up global supply chains with fully utilized ocean containers contributes to the reduction of port congestion and freight-related carbon emissions. To learn more about OceanMatch, visit our website. *A Flexport analysis of PIERS and ImportGenius data for all Full Container Loads (FCLs) imported into the US in 2018, accounting for both volume and weight parameters, showed that containers on average were only 64.6% utilized. Ram is the VP and Global Head of LCL at Flexport.